Do you own an iPhone? What about an iPad? If you do, one of the greatest things about one is all the potential it has that you may not even know about. The way you unlock that potential is through jailbreaking. By jailbreaking your phone, you can free it from Apple’s restrictions and install apps outside of the App Store. You can do whatever you want on it. If you’ve never jailbroken your iPhone or iPad, then you’ve never unlocked all the opportunities your Apple device really offers, and all the cool software available through an alternative app marketplace called Cydia. Cydia is an app store for jailbroken devices with developers creating powerful software that you can’t get on Apple’s App Store. But without Jay Freeman, the creator of Cydia, there really wouldn’t be much fun in circumventing Apple’s rigid control. Freeman jumped into the world of jailbreaking just six years ago, and with Cydia he helped it grow into a tool utilized by millions of developers and user alike. “I like to think of us as an alternative not to the ‘App Store,’ but to the ‘App’ Store.” Freeman told us, “We provide things that apps do not.” The apps that come from the App Store run inside little containers that do not allow them to do a lot of complicated things or actions like powerful multitasking. Cydia is not afraid of giving users more power. This allows programs to exist like iFile, which lets you access the iOS filesystem; a Safari download manager; and game emulators. These Cydia-powered apps are more than what meets the eye though. “Think of the application enclosed within an icon. When you close the icon, the application is jailed inside of it.” Freeman said. Apps on Cydia, meanwhile, are capable of a variety of functions, some even running in the background as you run other applications, and essentially free from the confines of the ‘icons’ they are stored within. This is what Cydia’s platform is all about: giving developers more control behind their applications. For half a decade, Freeman has been building a platform that lets people download apps that can change their wallpapers, multitask between apps, and access their files on their devices long before Apple would let them. He’s the face of the jailbreaking movement. But when Freeman first saw the original iPhone, he wasn’t even a fan. The new ‘smartphone’ Apple had just released at a shockingly high price of $600 lacked everything his Nokia candy-bar phone had, and then some. He didn’t really see the potential, at least until his friends showed him what jailbreaking was all about. He grew intensely interested, and tried to find ways to run applications on the locked-up iPhone. At the time, Apple’s own App Store was non-existent; if you wanted to run an app on an iPhone, it had to already be installed onto the device. 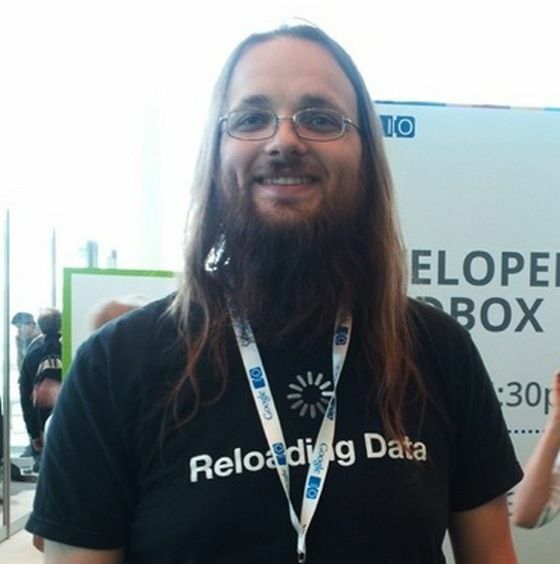 He soon released a set of tools to help developers make applications for the phone. 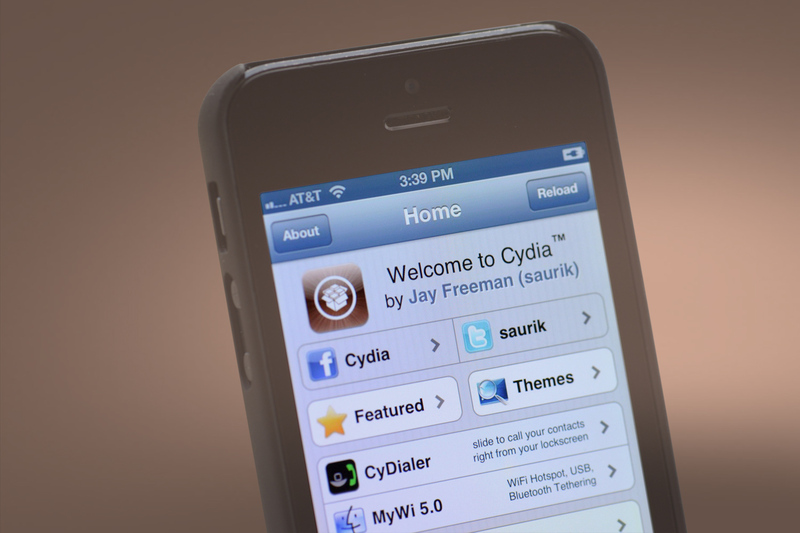 Since launching Cydia, Freeman has kept the gears turning. It has become a platform that has allowed developers to build powerful applications for iPhone owners. There is no other service out there like Cydia, and it’s the only major store available for iOS users outside of Apple’s App Store. But things have gotten more difficult every year. 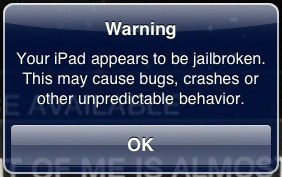 Apple does not like jailbreaking. It continually warns users about the risk of jailbreaking, and while the act itself is allowed, much like rooting an Android device, Apple continues to fix exploits found by the jailbreaking teams. At some point, it may take too long find the next exploit to make jailbreaking work. It took the jailbreaking community more than five months to hack iOS 6. “When Apple updates iOS almost everything breaks. Every time Apple puts out an update we spend a week of our lives in order to find out how to get an icon back on the screen” Freeman explained, pointing out how a simple OS update to the iPhone and iPad is actually one of the most difficult aspects of running applications underneath Apple’s radar. Despite the difficulties, jailbreaking is bigger than ever. The latest jailbreak (including his Cydia app) has seen millions of downloads since launching in February, and more than 22 million active users each month. Evasi0n, a popular application that will jailbreak your iPhone, set records this year, as more than seven million people freed their iPhones and iPad’s with it in the first four days of release. But how long will it take to find an exploit in iOS 7? It’s a chaotic way to live every day, but it’s the life that Freeman chose when he turned Cydia from the hobby project it was into the multi-million dollar application platform that it is today. Cydia is the source of income for thousands of developers who publish their apps on the alternative ‘app’ store, and essential to millions of jailbroken iPhone and iPad owners who download apps from Cydia every day. Freeman opened the door for many innovations over the years since launching his alternative ‘app’ store. Before iOS had wallpapers, Cydia did. Before iOS had multitasking, Cydia did. Even before iOS had a single game on it, Cydia did. While iOS took years to offer more innovations and technology to iPhone owners, Cydia was there to make up the difference. Even today Cydia offers things iOS doesn’t to this day, such as more in-depth control of the user interface. Standard iPhones still have a very rigid homescreen look and design. Perhaps the most depressing part about all of this is how harmless Cydia actually is. None of the apps allowed on Cydia would be allowed on the App Store in the first place, so it’s not taking business away from Apple, and all the apps do is add functionality – like running an emulator – to iOS devices. They let iPhone and iPad owners do what they want with their devices while giving legitimate developers a way to make money. It adds to the iOS experience, though Apple writes it off as harmful. Some of these apps could not be listed on the App Store due to the constraints of the Apple’s app restrictions, but the rest – ranging from emulators, to Safari download managers – are just seen as unkosher by Apple and routinely rejected from admission into the App Store. While other app stores on Android and Windows Phone allow these apps and many more, Apple continues to be very strict with the type of apps it allows. We contacted Apple to hear its stance on jailbreaking, but did not hear back. Jay Freeman helms one of the greatest hacking efforts ever undertaken. His accomplishments with Cydia cannot be overstated, but it’s shocking how fragile the world of jailbreaking really is. Cydia is an essential part of the iOS experience to millions of jailbroken devices out there, and perhaps even essential to your experience, too. Eventually Apple may build an impenetrable version of iOS. And if that day comes, all his work will, like many digital creations, cease to matter.